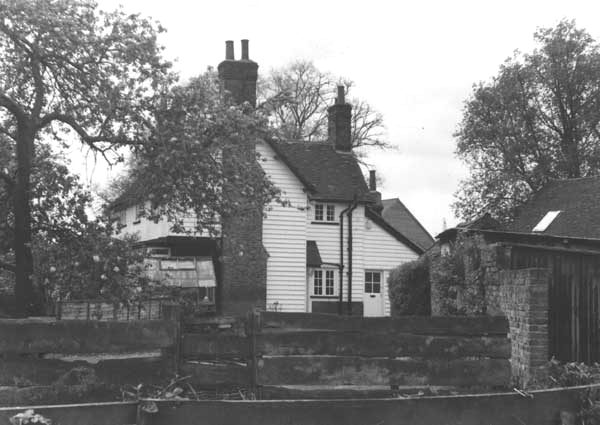 Manor Farm was compulsory purchased By the London County Council (LCC) in 1946 within the whole of the Harold Hill compulsory purchase order. Some of the land was used for housing mainly in the Priory Rd area. The LCC then added some other fields to the farm to compensate primarily the old Neave Estate land being the 6 fields to the north east of the original farm. The enlarged farm' s ownership was retained by the LCC but leased to James Quilter as an agricultural tenancy. 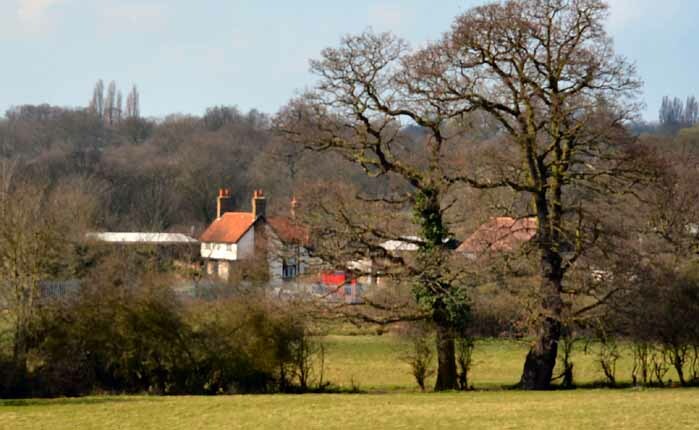 When the LCC became the Greater London Council (GLC) the farm ownership went to that council and finally with the demise of the GLC the farm went to the London Borough of Havering, (LBH). Through all of that time, the Quilter family held the tenancy of the farm. Firstly by James and on his death by his son, also James who died in the 1990's. 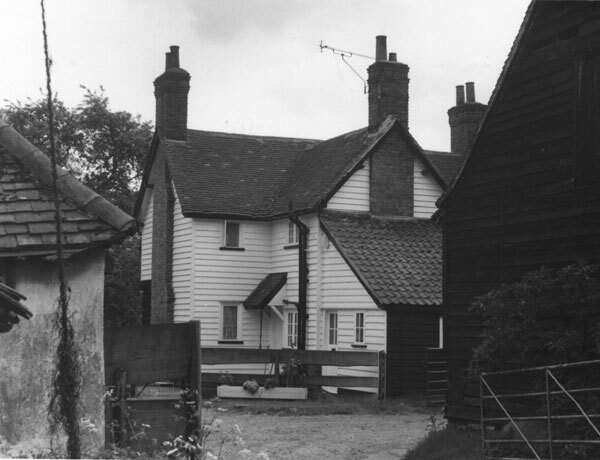 Following the death of the later James, work on the land virtually ceased, though the buildings continued to be used as a farm shop via an unauthorised subletting. LBH challenged this and eventually repossessed the land and buildings in 2004/5. They then sold the buildings and their immediate environs, completing the sale on 31/10/2006 for £775,000..... The new owners submitted a planning application for a new house in 2011. It was refused by the LBH planning cttee for the reasons set out below. The proposed development would, by reason of its height, bulk and mass, appear as an unacceptably dominant and visually intrusive feature in the street scene harmful to the appearance of the surrounding area contrary to Policy DC61 of the LDF Core Strategy and Development Control Policies DPD. The site is within the area identified in the Core Strategy and Development Control Submission Development Plan Document Policy Plan as Metropolitan Green Belt. The Core Strategy and Development Control Submission Development Plan Document Policy and Government Guidance as set out in Planning Policy Guidance Note 2 (Green Belts) states that in order to achieve the purposes of the Metropolitan Green Belt it is essential to retain and protect the existing rural character of the area so allocated and that new building will only be permitted outside the existing built up areas in the most exceptional circumstances. No special circumstances to warrant a departure from this policy have been submitted in this case and the proposal is therefore contrary to Policy DC45 of the Development Control Policies Development Plan Document Policy. 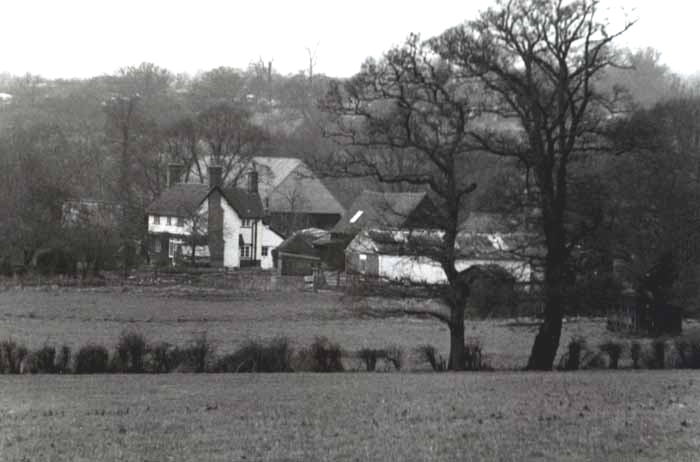 The proposal by reason of its positioning outside the collection of rural farm buildings, would result in a form of development which is incongruous with the attractive rural character of the area and detrimental to the spacious, open character of this part of the Metropolitan Green Belt contrary to Policy DC45 of the Development Control Policies Development Plan Document Policy. The proposed development would result in the loss of a locally listed building and by reason of its unsympathetic appearance result in harm to the character of the locality contrary to Policies DC61 of the LDF Core Strategy and Development Control Policies DPD. That left the land which adjoins Dagnam Park proper still under the ownership of the LBH. Essentially the land in question includes the three fields between the Lily Pond and the Priory Pond excluding the small-holding, along with all the fields backing onto Priory Rd and Tees Drive. For a while the situation was unclear with LBH allowing the land to be used as public open space. It was then "erroneously" announced in a council press release that the land had been incorporated into Dagnam Park Local Nature Reserve. Havering Council subsequently disputed this when they attempted to push through plans for a solar array on some of the land once leased to Robert Watt to the north of Quilter's holding. Following a vigorous campaign of opposition the council abandoned the plans at the end of March 2017. They then advised that the were moving ahead to include all of the land formerly designated as public open space into the Nature Reserve. As of writing the formal designation is still unclear. Del Smith. 4/4/2019. The description of the holding from the 1919 auction catalogue. containing Three Bed Rooms, Sitting Room, Kitchen, Scullery, Pantry, Wash House and Detached Wood and Coal Sheds.
. The Occupiers were Mr. C. Brooks, who paid £10 per annum on a Yearly Tenancy for 7a. 3r. 35p. Mr. E. W. Padfield. who paid £119 per annum on a Yearly Tenancy for 66a. Ir. 3 Ip. and there was 3 a. Or 15p of Woodland in hand Valued at £50 to be added to the Purchase price. The Purchaser was Mr J. Quilter, who also bought Lot 13, he paid £2750 for the two Lots. 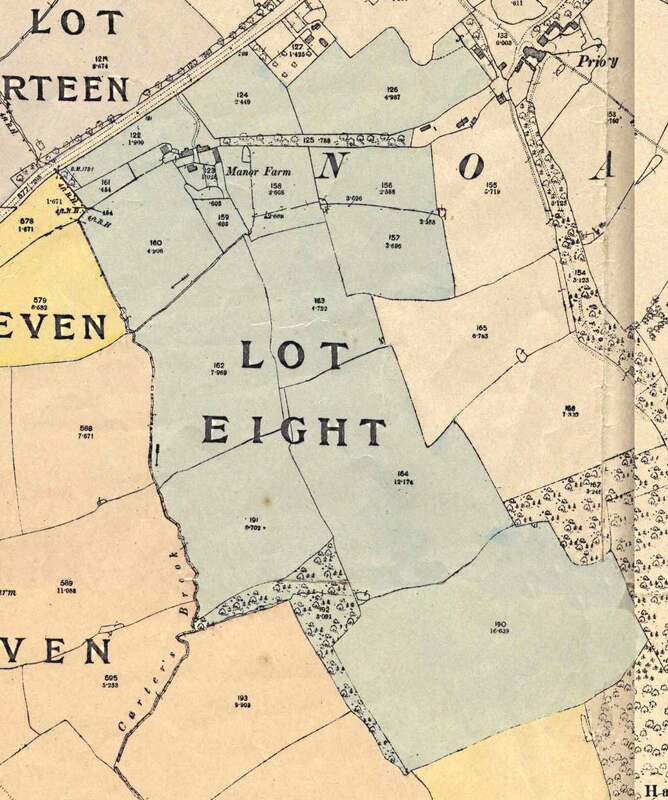 There was with this Farm the option to rent two fields numbered 165 & 166. which were in the occupation of Mr. Padfield and Mr. Quilter took up the option on these fields as well. And a similar perspective but on 21st March 2012, thirty nine years later. photo Don Tait.